Tablet POS system to sell products in-store & on-the-go using any device, from anywhere. Hike’s portability means that your hand-held tablet device can now be turned into a powerful POS system. Use it to sell products, manage inventory or even check reports from home. Designed for the tablet, it’s simple user interface makes it easy to use. 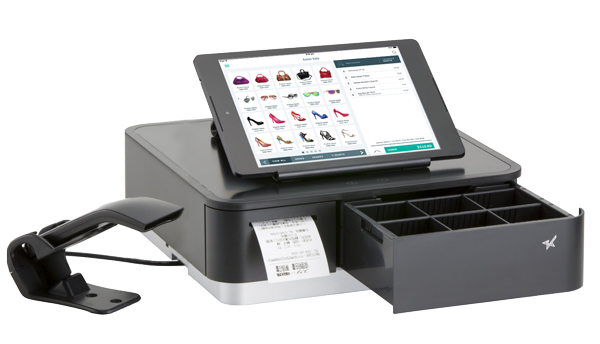 Use your tablet POS as a floating cash register in your store to maximise your ability to help customers on the shop floor. It’s a feeling of ease and simplicity that you can pass on directly to your customers. With its compact setup size and mobility, Hike’s tablet POS system is perfectly suitable for retailers to sell on-the-go. Take your store to trade shows, pop-up stores or even use in a food truck, to sell your wares to even more customers. Hike seamlessly integrates seamlessly with leading payment processors worldwide including PayPal, iZettle, Tyro, Vantiv and Apple Pay. Hike also lets you create custom payment types, so that you can choose to work with your existing merchant service provider. From sales charts to inventory reports and even access to how well your staff is doing, Hike gives you the information you need, all accessible 24/7 and from anywhere with our tablet POS system. Tablet POS that’s always connected. Continue selling even when you lose internet connection, thanks to Hike’s cloud functionality. Resume your sale transactions and when your store is able to get back online, Hike will sync all your offline sales to your store’s cloud.